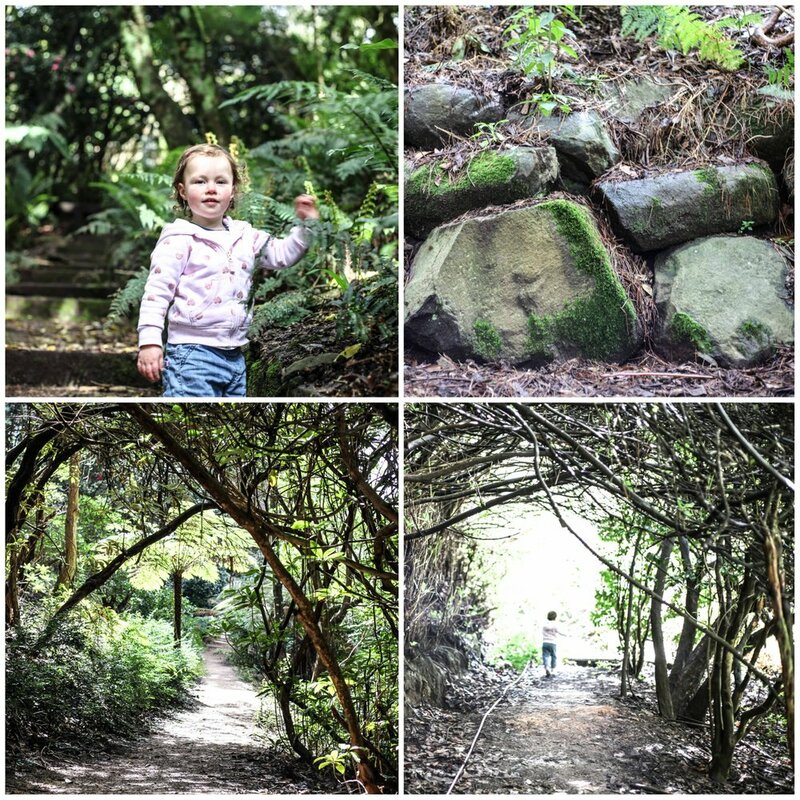 A finding a secret garden is quickly becoming Mamma's favourite kind of adventure and what an adventure it is to visit Cloudehill Garden in Olinda. 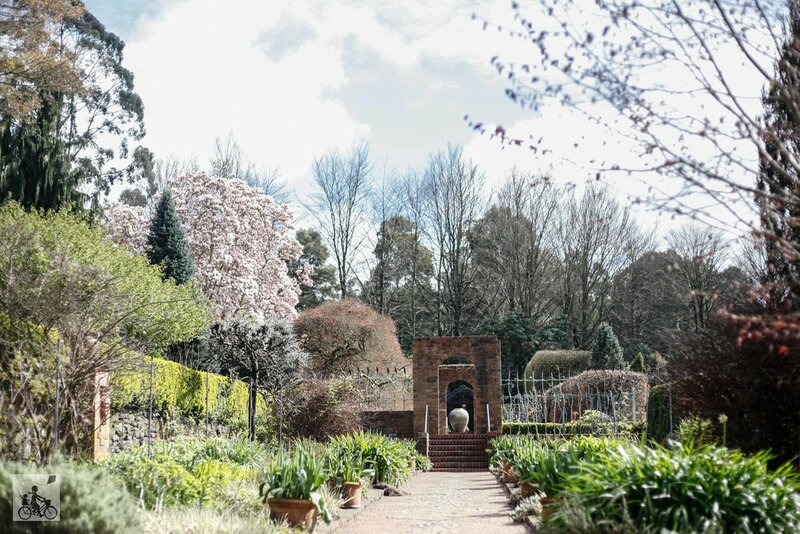 Set on the side of the hill here are some of the most stunning and exclusive gardens in the Dandenong Ranges. There are miles of pathways weaving in and out of formal gardens, terraces, tree lined bluebell meadows and the more wild and mysterious - Rangeview Woods. You could spend a good hour or two wandering all the hidden corners, smelling the roses, finding all the sculptures and reading all the scrolled artwork. Mamma says you MUST head downhill to the Rangeview Woods - is an additional gold coin donation but is well worth it as there is so much beauty in these gardens. Most definitely wear your walking boots as you sure will be chasing some excited children through the tracks on the hunt for lyrebirds, wombats or even fairies amongst the ferns. Trails are most certainly designed for the independent walkers and kids confident on stairs. There is no chance of bring your pram along with you so pack the baby carrier or be prepared to pick up tired toddlers at some point. The gardens transform with each new season and be sure to drop in during spring for the flowering daffodils and back in the autumn when the trees turn a beautiful shade of orange and red. The birds love this spot as well with a friendly kookaburra well and truely making himself at home on the resident art pieces. This weekend (October 13 & 14, 2018) is the annual Spring Garden Weekend with mini workshops, guided tours, a scarecrow competition and activities for the kids! Click here for all the info! Mamma's special mention: Need a coffee hit after calling to your toddler to 'slow down' and 'wait for Mamma!' - luckily, there is a cafe on site, just got to make it back up to the hill. Plus you can do some of your plant shopping all in the one visit!